( See Figure 72) Which marking indicates a vehicle lane? A) may be used only for taxiing. B) is usable for taxiing, takeoff, and landing. C) cannot be used for landing, but may be used for taxiing and takeoff. A) 035°̊ and 017°̊ magnetic. B) 350°̊ and 170°̊ magnetic. C) 350°̊ and 170°̊ true. A) identifies area where aircraft are prohibited. B) identifies where aircraft hold short of the runway. C) allows an aircraft permission onto the runway. B) an area protected for an aircraft approaching a runway. C) an entrance to a taxiway from a runway. 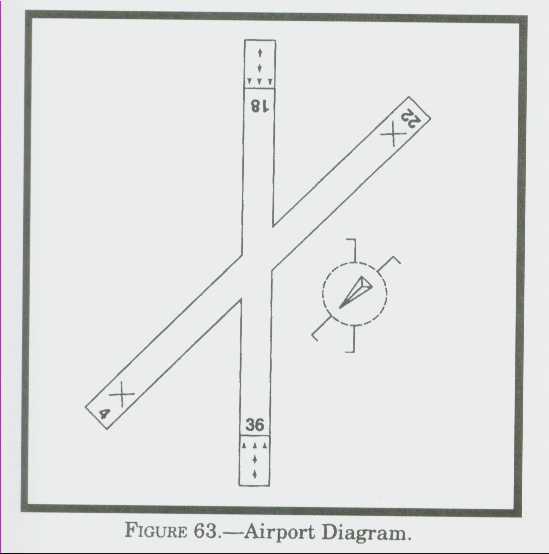 What is the purpose of the runway hold position sign? A) Denotes area protected for an aircraft approaching or departing a runway. B) Denotes runways that intersect other runways. 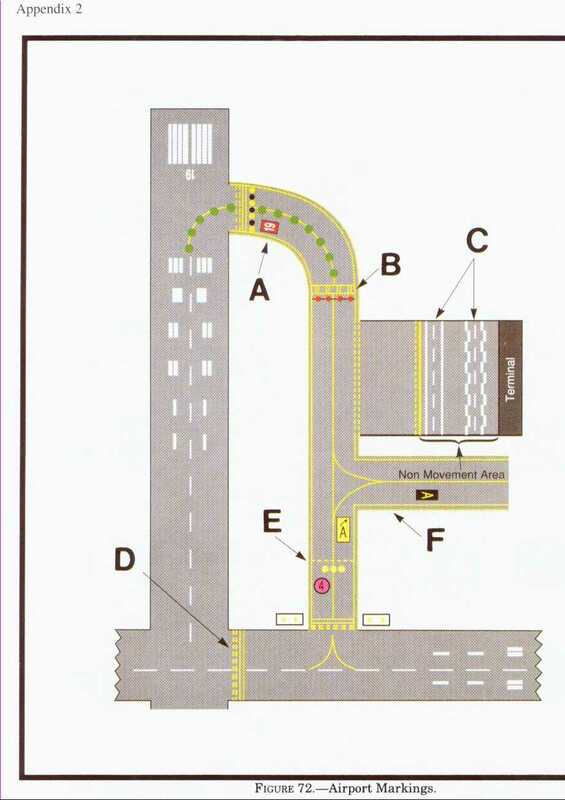 C) Denotes an entrance to taxiway from a runway. What is the purpose for the runway hold position markings on the taxiway? A) Holds aircraft short of the runway. B) Allows an aircraft permission onto the runway. 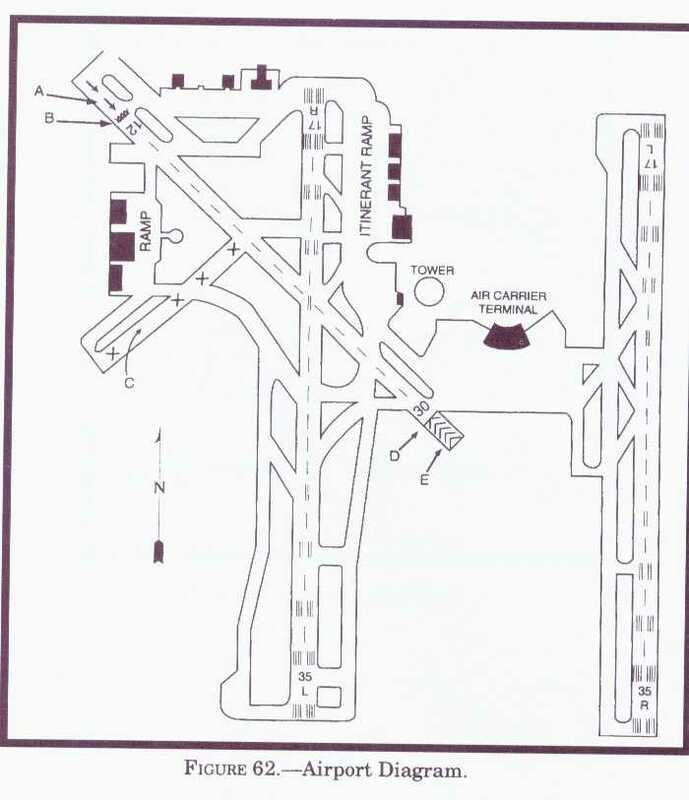 C) Identifies area where aircraft are prohibited. 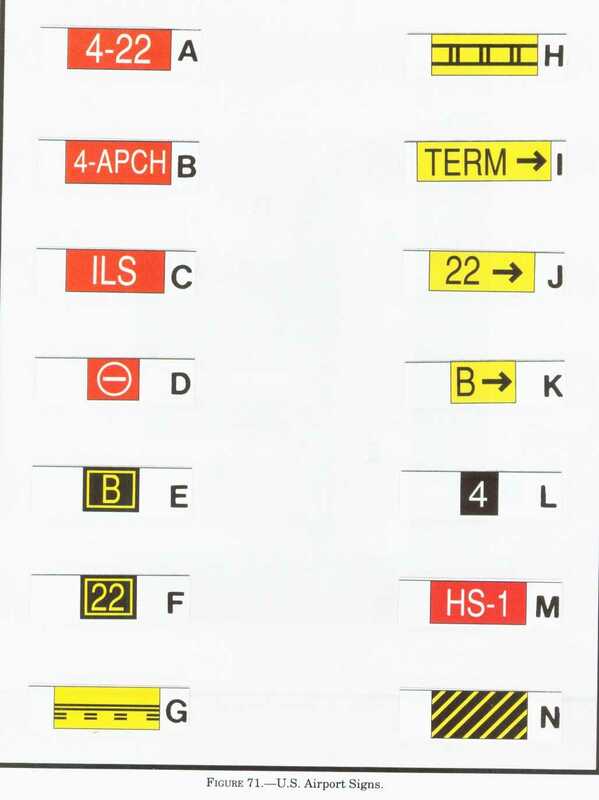 ( See Figure 71) Which sign indicates the runway on which the aircraft is located? A) red inscriptions on white background. B) white inscriptions on red background. C) yellow inscriptions on red background.